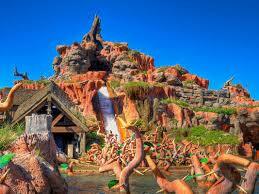 Splash Mountain will be closing again in January for its annual refurbishment. The refurbishment is currently scheduled for January 4-30, and will be reopening to guests on January 31, 2015. Kali River Rapids at Disney’s Animal Kingdom will also be closing for refurbishment in January. The attraction will be closed January 20th through February 4th, and will be reopening to guests on February 5, 2015.